Abel Prieto is second from left. What could you hope for from an intellectual movement of a country that is convened to sign a book supporting the shooting of several youths who tried to abandon the country by taking boat passengers hostage? It’s worth adding that they didn’t hurt anyone, and that the foreigners who lived through the experience later demonstrated against the death penalty for those who were sentenced. However, through telephone calls, cited them to provide their signatures, nothing more and nothing less, to show they accepted these deaths. The cowardice of the Cuban cultural movement was never more miserable than in those days. When I received the call and said no, I could note the confusion of the functionary who called. It was as if he didn’t understand the forthright negative answer with which I answered him, and taking advantage of his hesitation I told him to let me know if other books to sign for those who didn’t agree. Precisely in his confusion, I understood that prior to this he hadn’t received any other negative response. At most, some shielded themselves behind the invitation and accepted, saying they’d to to UNEAC (National Union of Writers and Artists of Cuba) office at some point. I didn’t have to assure myself that many who signed were in total disagreement with the extreme measure. 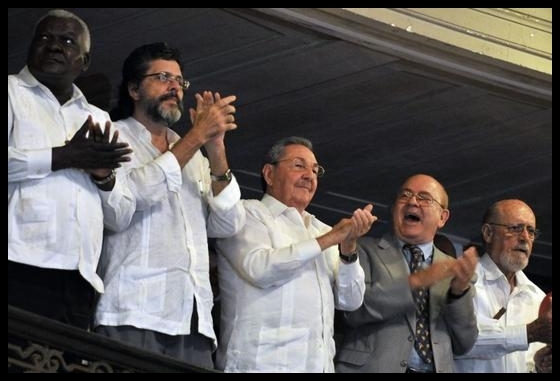 But — miserably — they confessed to me, and thus I make it known, that many recognized and signed because the measure augured extremism and possible persecution against those who didn’t show their sympathy and support for the plans of the Castro brothers. The majority justified that the measure was to save the “Revolution,” since if plane and maritime kidnappings continued, it could start an invasion of the island. In a certain manner, all the signers splashed themselves with blood when the bullets were fired and broke the skulls of the prisoners. But no one was like the poet Roberto Fernández Retamar, a member of that Council of State, and thus one of those who pulled the trigger against those young people, who didn’t have any other longing than to attain a future far from the misery they lived in their short years of life, understanding that the future didn’t look any better. From that same house of the mentioned poet, UNEAC planned the public attack against me at the suggestion of the ex-minister of culture, today the advisor to Raul Castro: Abel Prieto, who obscurely handled and manipulated the cultural sector in order to counteract international discomfort at my imprisonment. As the great writer Virgilio Piñera predicted, FEAR has been the spirit that has accompanied the cultural sector for the last 55 years. We already know the answer to the initial question. 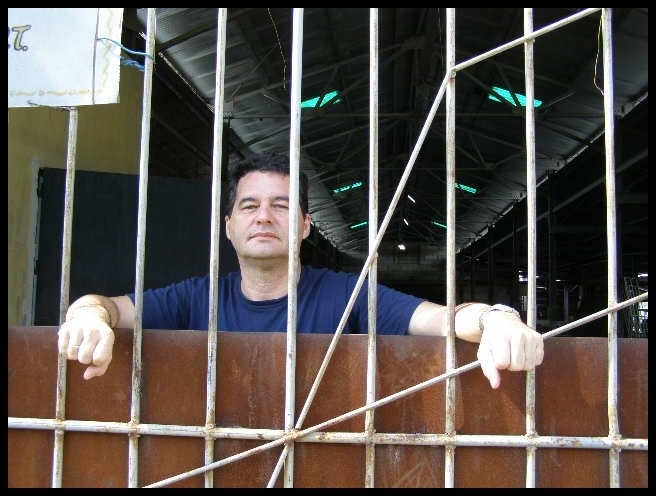 Please sign the petition below to have Amnesty International declare Angel Santiesteban a prisoner of conscience. Follow the link here.